Europe’s insurers paid out €949bn in claims and benefits in 2014; €2.6bn every day. For an average per capita spend of €5.4 a day on life and nonlife insurance combined, Europe's citizens are able to go about their lives and run their businesses, secure in the knowledge that they are protected against unexpected costs from life’s risks. The insurance sector, as well as being a significant provider of savings and pension products that contribute to old age financial security, is the EU’s largest institutional investor, providing a steady flow of long-term capital that contributes considerably to the stability and functioning of financial markets. 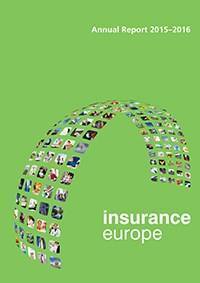 It is clear, therefore, that without the insurance industry Europe would be a very different place. Yet still we have the impression that our industry is seen by some policymakers and regulators as a problem to be solved, rather than an asset to be nurtured.